The senior vice president of operations at Primeritus Financial Services now is the forwarding company’s first chief operating officer. The company announced on Friday that Chris McGinness has been appointed as COO effective immediately. As chief operating officer, Primeritus highlighted that McGinness’ responsibilities will be expanded to include all of the company’s operating businesses. 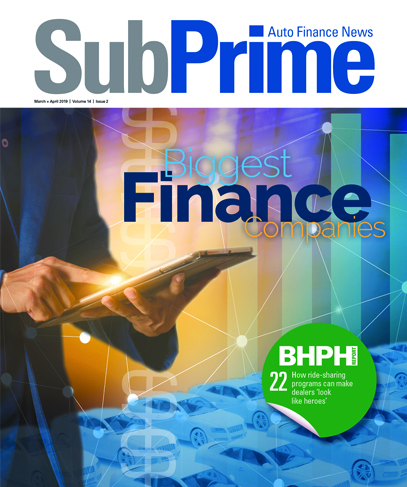 McGinness will continue to report to Mike Thomas, Primeritus Financial Services chief executive officer, who succeeded Scott Peters in that role as Used Car Week 2018 began. McGinness has more than 20 years combined leadership experience in business operations and has served in numerous senior management roles across the automotive services industry. This promotion is part of the company’s commitment to ensure continuous improvement and acceleration of operational excellence. As chief operating officer, McGinness will have the responsibility to lead in the development and execution of a consolidated operations strategy across all of the Primeritus entities. “We are very pleased to announce Chris’ promotion to the position of chief operating officer at Primeritus,” Thomas said. “The Primeritus family now encompasses five different companies, with over 1,500 clients and 750-plus agency partners. The demand for our services has grown significantly over the last few years, and this role was created to help support our continued growth. McGinness began his management career at ADESA where he served as the controller prior to taking on the role of general manager of its auction in Sacramento, Calif. His management experience spans a variety of operational functions including remarketing, transportation and repossessions. Prior to entering automotive industry, McGinness was a senior accountant with Perry-Smith, a large regional accounting firm in Sacramento.